Titan Comics is bringing Robotech back to the world of comic books next month, but not exactly as you remember it. 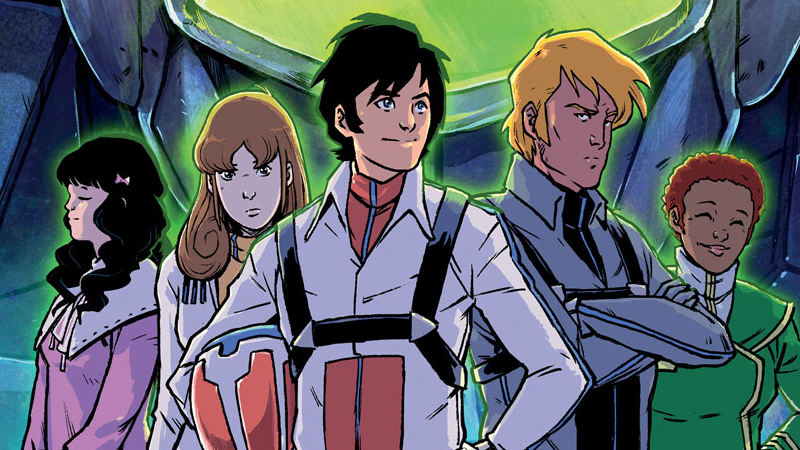 Written by Brian Wood with art by Marco Turini, Robotech promises to be more than a retelling of the original anime series, and io9 has a first full look at the new series. As you’ll see in the exclusive preview below, it’s starting from the very beginning, including the moment the SDF-1 Macross itself was first discovered following its crash landing on Earth, catapulting humanity into a bright, technologically advanced future that just so happens to also include extremely rad transforming fighter jet mechs. It’s when Rick Hunter tries to visit his fighter pilot friend Roy Fokker that things start to get... different. Robotech #1 is set to hit shelves July 26.